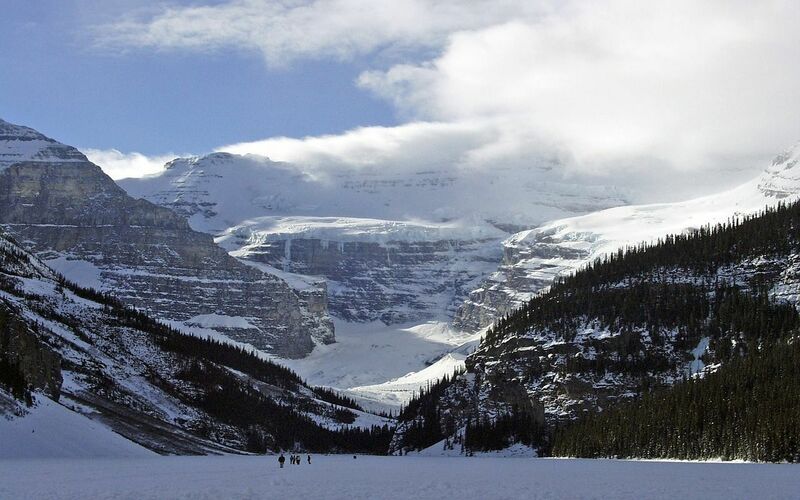 Imagine taking your two-year-old on a ski trip to Alberta, Canada? Here;s how one Family Travel Forum family made it a success. Several years ago, my husband, 2-year-old son and I spent a one week ski holiday at the 3,200-acre mountain resort of Sunshine Village in Banff, Alberta, Canada. The skiing was outstanding, with a vast variety of terrain (including extreme stuff), efficient lifts and lots of powder. The childcare program was also excellent and the entire family had a wonderful time. This arrangement may not suit everyone because the gondola closes early most evenings and you are unable to access the attractions in Banff. However it met our needs perfectly: maximum amount of skiing right from the door of the Inn, and a licensed daycare accepting children from 19 months, with a ski school accepting 3-year-olds and up, both adjacent to the Inn. Whenever we wanted to check on the little guy, we could ski right up to the daycare entrance. At the Sunshine Inn, accommodations themselves were somewhat rustic at the time, but have undergone a more recent renovation. The Inn does have a few larger suites, such as Family Rooms with one queen bed in one bedroom, and two twins in another bedroom, with a full bathroom separating the two, but they get booked well in advance. The service is good and very friendly. There are also two restaurants, a casual lounge and a fancier fine dining restaurant, which are kid-friendly. There is a large outdoor hot tub (they claim it is “one of the largest in Canada”) and an exercise room. I’d recommend this resort for the avid skier who is looking for good childcare and/or a ski school, doesn’t mind basic, friendly accommodations, and has little need for glitzy aprÃ¨s ski or shopping activities.